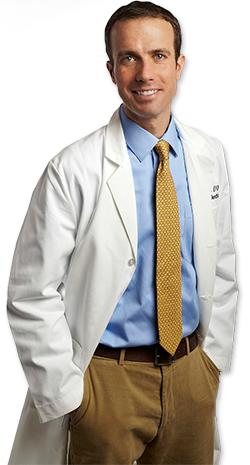 Dr. D’Occhio was raised in Bethlehem, CT and graduated from Nonnewaug High School in Woodbury, CT. He then attended Boston College in Chestnut Hill, MA, earning his B.S. in Biochemistry. After college he worked for two years as a Medicinal Chemist for Pfizer, Inc. in Groton, CT, where he fell in love with the Connecticut shoreline. Following his work for Pfizer, he attended the University of Connecticut School of Dental Medicine graduating in 2004, earning various awards including the American Academy of Esthetic Dentistry Award and the International College of Dentists Award. Following graduation, Dr. D’Occhio completed his Advanced Education in General Dentistry Residency, also at UCONN. He enjoys performing all aspects of General Dentistry, especially Cosmetic and Esthetic Dentistry, as well as working with pediatric patients. Dr. D’Occhio is a part of the UCONN School of Dental Medicine and is active with the Alumni Board. He has also been involved in performing humanitarian dentistry in developing countries such as Peru, Haiti and Paraguay. He worked as an Associate dentist in Bradford, MA for five years before deciding to purchase a practice of his own in Old Lyme, CT in the fall of 2011. Outside of work he enjoys various outdoor activities, including running, hiking, cycling and fishing. He completed the 2007, 2008, and 2009 Boston Marathon as part of the Leukemia and Lymphoma Society’s “Team in Training”. He has participated in the Cape Cod Getaway Bike Ride to support the National MS Society where he rode 150 miles from Boston to Provincetown. Dr. D’Occhio lives with his wife Kalyn and their dog Jersey, in their home in Ivoryton, CT. He loves spending time with his family and friends and taking advantage of all the wonderful things that New England has to offer.